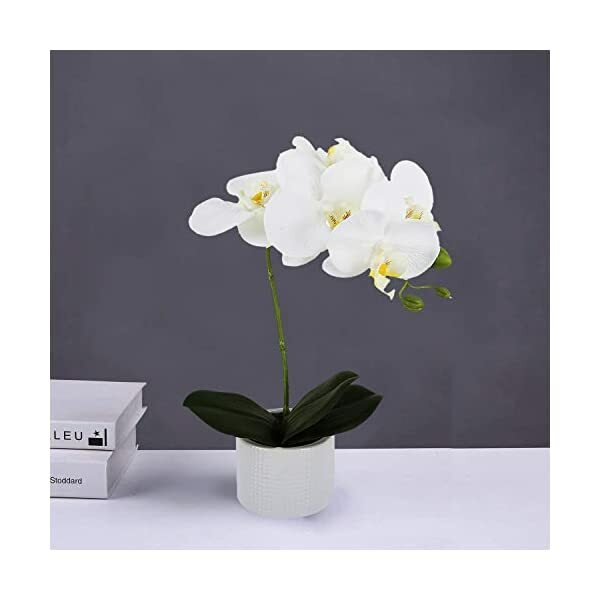 Natural Silk Orchid : Our artificial orchid Flower Arrangement is made of high grade silk cloth, full petals clear texture.Vivid look and real touch. 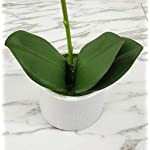 Best Gift Solution: The phalaenopsis flower means love and good luck, as a gift it’s the best blessing for your loved ones. 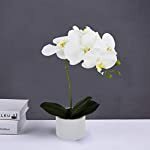 Decorative Faux Flowers: Silk flowers with vase in texture will stay beauty without maintenance, suitable for home room office wedding party centerpiece decoration. The arrangement can be re-shaped and extended when removed from box to achieve its intended appearance.